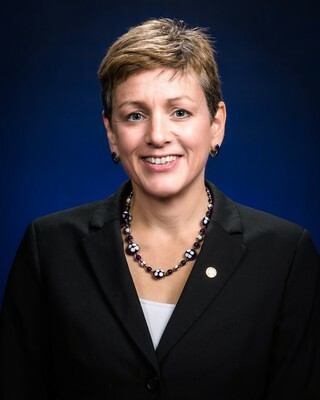 Dr. Karen Gaines has served as Dean of the College of Arts and Sciences at Embry-Riddle Aeronautical University (ERAU), Daytona Beach since 2016. Prior to joining ERAU, Dr. Gaines worked at the US Department of Energy’s (USDOE) Savannah River Site, before joing the faculty of Eastern Illinois University where she served as Department Chair of Biological Sciences and founding Director of the Geographic Information Science Center. Dr. Gaines is an interdisciplinary scientist whose expertise primarliy focuses on toxicological exposure pathways for both environmental and human risk assessment, specifically as it pertains to health physics, radiobiology, metals and organics. Dr. Gaines has received numerous research and leadership awards for her work with the USDOE, US Environmental Protection Agency as well as the US Department of Defense. Dr. Gaines continues to serve these agencies, not only as a risk assessor, but also as an expert in spatial data analytics.